With more organizations adopting e-learning to train their employees, they are looking at converting their classroom training into e-learning, and why not? 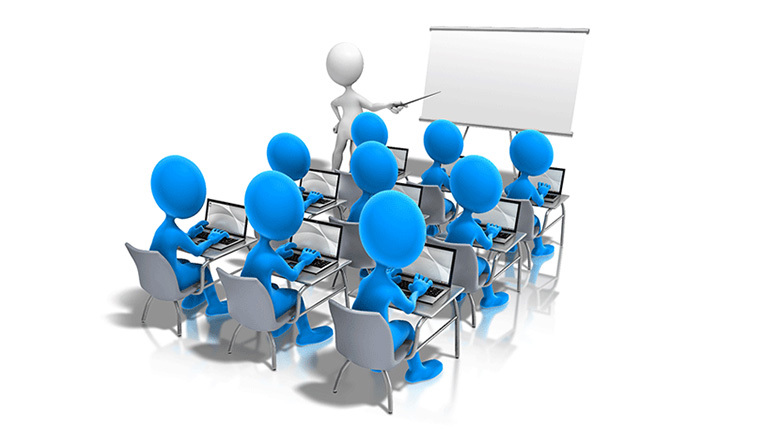 Classroom training material provide them a repertoire of raw material for e-learning and the already available PPTs ensure that they do not have to start from scratch. So, is the conversion as easy as it sounds? Not really. There are intrinsic differences in terms of instruction methods, instructor-learner interaction and the interactivities. Ideally, a successful conversion of classroom training to e-learning should bridge these differences and use the right techniques so that e-learning has the same impact as classroom training. This blog will give you insights on how these differences can be bridged. Before converting the classroom training material for e-learning, one basic question that needs to be answered is – ‘What is the purpose of this e-learning course?’ Will it be for refresher training? Just-in-time support or a regular e-learning course? Based on the purpose, the content of the classroom sessions has to be chunked and reconfigured for e-learning. Converting PPTs and graphics from classroom sessions into Storyline may be the simple solution. But, do you really want to convert all the slides? They need to be reviewed from the consistency and screen layout perspective. Review the graphics and the screen layouts in the PPT. Are they of high-resolution? Do the screen layouts facilitate independent learning? Are there details in the instructor’s notes that should be included? Add visuals in the slides to catch the reader’s attention, they will have to do what an engaging instructor can accomplish in a classroom. Include more slides in your e-learning course. Individual slides must cover key points and ideally accompanied by graphics. This will act as a visual simulation that will hold the reader’s attention. Breakup the key point into slides, the text should be concise. The slides must have brief content so they do not hold up the attention of learners for long periods. E-learning courses are of shorter duration than classroom sessions, so the slides with the important points need to be presented first. This will ensure that important points are not skipped when you or the learners are in a hurry to finish the course. If the content is too large to be consolidated into an e-learning, consider repurposing part of the course as job-aids or reference material. Some of the training material can be converted into handouts. Classroom sessions are interspersed with stories delivered by the instructor; this is usually done to drive a point home. Some of these stories are memorable and it helps the learners remember and understand the information. When creating e-learning courses, you will confine yourself to the instructor guide and learner guide and will overlook these stories because you will not have access to them. How do you include these stories in your e-learning course? Talk to the people who delivered the content or refer to the notes of the instructors to get access to these stories and see how best you can include them. A classroom session allows learners the option to ask questions if they do not understand something or need to clarify some doubts. The instructor too asks questions to check if the learners have understood the subject. An e-learning course does not provide this luxury. You should talk to the instructors about areas where there is likely to be confusion in the minds of readers and the probable questions that will crop up. Once you anticipate these questions, you can build them into the content of your course. A classroom session is likely to have plenty of discussions and activities. While some of the activities can be suitable for an online course, some will not. In such a case, ensure that you find ways to include the learning from these activities in your course. Think of other activities you can include in the course, apart from the common multiple-choice questions. Instead of having quizzes at the end of a lesson that test the learner’s knowledge, include activities that will allow learners to explore the content. It is not necessary that all the activities you include must be graded. When converting classroom training to e-learning, get the help of an SME or an experienced trainer who are familiar with the content and are aware of those parts that will create the ‘a-ha’ moments in the learner. The reasons listed above should be the focus of the conversion. It is crucial to take some time out to plan a proper course, so that the differences can be bridged, resulting in successful conversion. Is Converting Classroom Training To E-courses A Big Hassle?